Good morning to you! 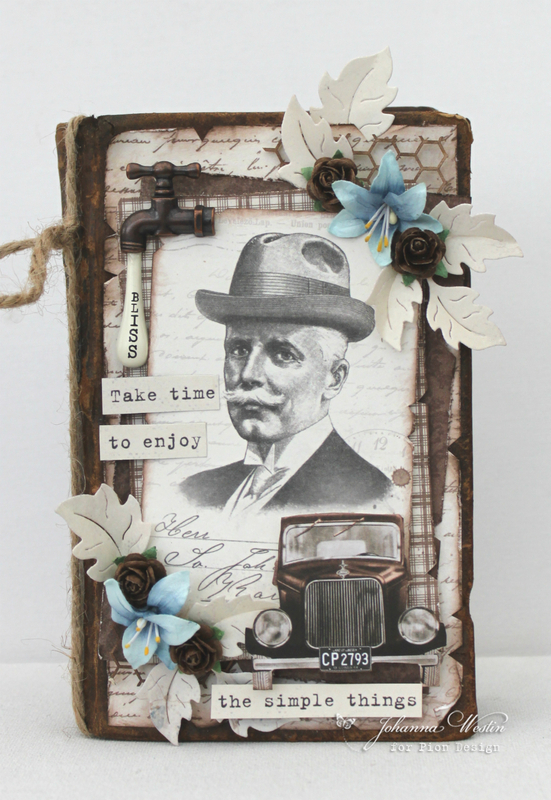 The new collection from Pion Design – Mister Tom’s Treasures is perfect to use for many different projects. 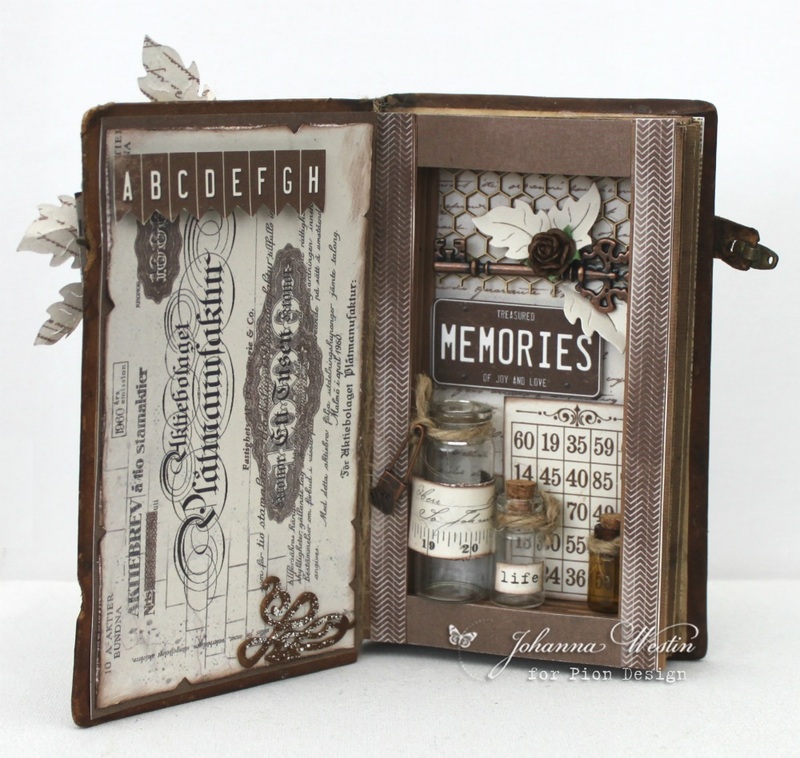 I have made a book filled with memories for my father. Hi Johanna, that’s an absolutely fantastic book design. 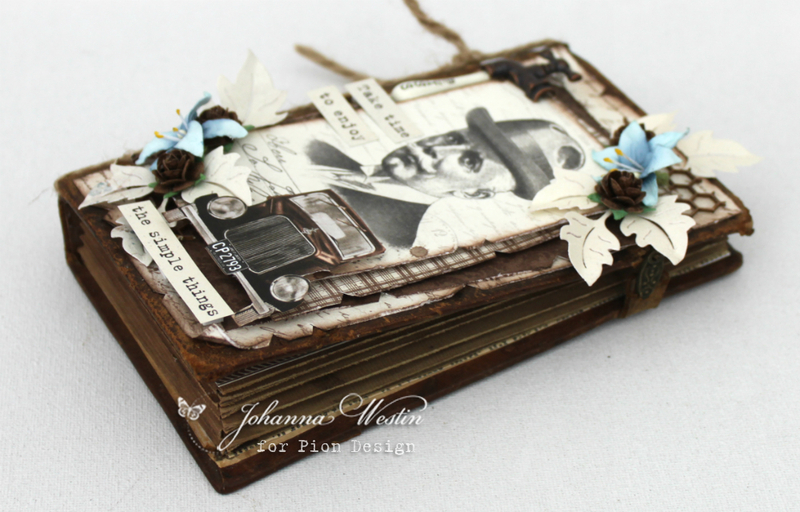 These papers of Pion Design are so wonderful.